We took the 9AM shuttle from the Sheraton JFK to the JFK airport arriving at Terminal 1 around 9:15 for our 12:05PM departure. Check-in desks were right in front of us as we entered the terminal. 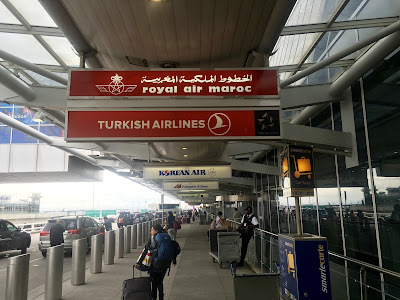 There was a bit of confusion after we asked to check our bags to Istanbul vs. our final destination of Male but that was cleared up in a few minutes after speaking with a supervisor. Boarding passes in hand, we waited in the security line given the lack of pre-check on international airlines (although that is about to change). I've written several posts on Lufthansa's brand new (started this week) service from Denver to Munich. 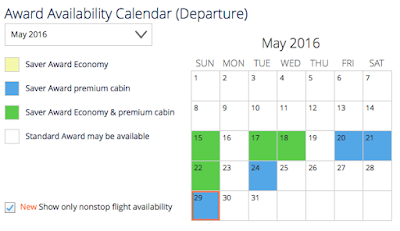 While the route won't have first class forever, availability is quite good at the moment. New routes are often great places to look for award availability especially "lower tier" routes like this one. For those of us living in Denver, having another nonstop option to Europe is awesome. Keep in mind that Lufthansa only makes first class award seats through partners (i.e. United) available 15 days in advance. So if you want to fly first class (before it goes away) on this route, you'll have to wait until the last minute. 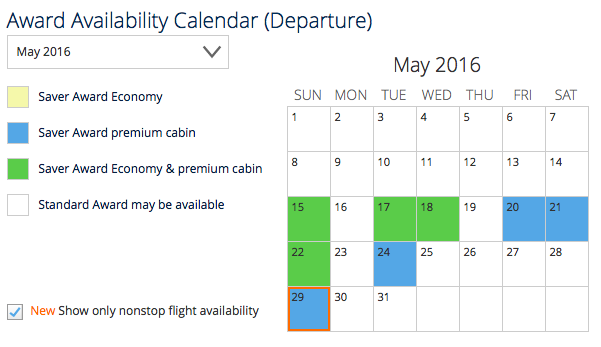 As you can see, 8 of the next 15 days have a seat available in first class on the nonstop flight. This will cost you 110,000 United MileagePlus miles and $55.60 in taxes and fees (one-way). Close-in business class availability is also quite good at 70,000 miles and $55.60 each way. Beyond that, there are only a handful of days this summer with availability in economy or business class. Hopefully that opens up over time. I am looking forward to trying the new service out in first class before it's removed next year! Last year, Lufthansa announced that they would be bringing back direct service from Denver to Munich with A330 four class service (including first class) starting in May of 2016. Our first and only Lufthansa first flight was on the A330 in November of 2013. Well service is still going to start this week but the first class configuration will only be around for 10 months. After removing first class from their 747-400 fleet, (which provides the Denver to Frankfurt service) Lufthansa is going to be removing first class from their A330 fleet. Via Lufthansa Flyer, first class is no longer bookable for this sector after March 26, 2017. While this is certainly a disappointment, you can't really blame Lufthansa. There are thirteen other destinations impacted by the reconfiguration. 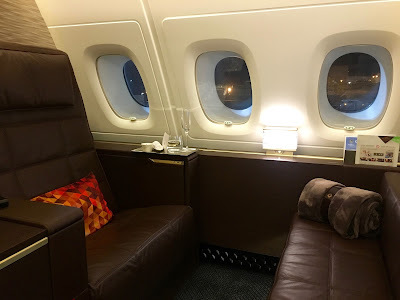 Lufthansa has historically had a very large first class fleet and are following the trend (as is Singapore Airlines) of reducing their first class capacity. Unfortunately (unlike Singapore Airlines) they have a sub par new business class seat. Lufthansa only makes first class awards available to partners within 15 days of departure. That said, there seems to be plenty of availability on the Denver route. For example, there are award seats for May 13th and 14th (Friday and Saturday). I think I am going to have to find a long weekend to spend in Munich before March of 2017! One of the best perks of international premium travel are the lounges. What's better than relaxing in a comfortable chair while drinking champagne and eating great food? 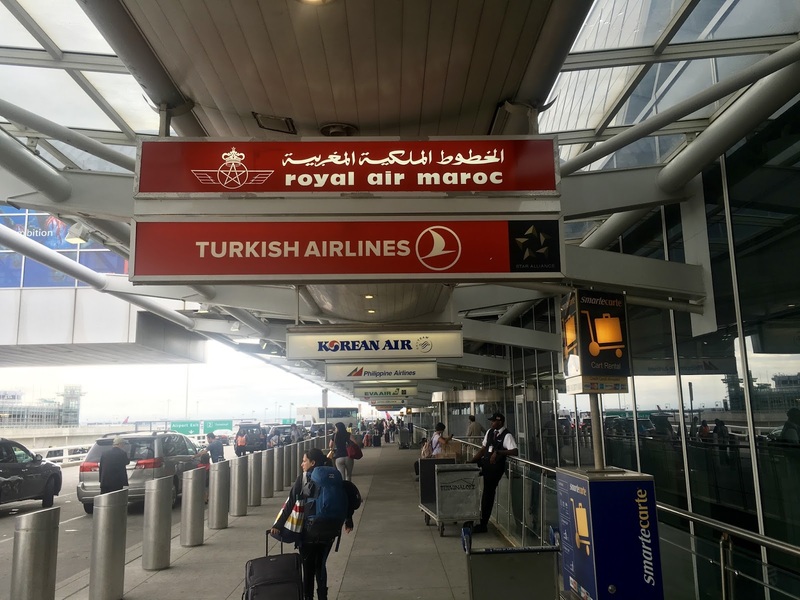 We're Star Alliance flyers (both United Gold for 2014) and several of these lounges allow access for Star Gold members even when traveling in Economy. But for the most part, the ticket to these lounges is a First Class ticket. The great news is that you can receive access (hasn't always been the case) to premium first class lounges even on an award ticket! We've been fortunate to relax in some of the best lounges in the world so it was tough to narrow down the list. The First Class Terminal as a lounge within a dedicated terminal located down the street from the main terminal buildings at Germany's Frankfurt International Airport. We visited the First Class Terminal after our first class flight on Lufthansa from Dallas to Frankfurt. The terminal includes private security, a cigar room, a bar with over 100 premium whiskey's, a sit-down restaurant, amazing shower rooms complete with the famous "rubber ducky" and chauffeur service to the plane in a premium German automobile. Lufthansa's Frankfurt First Class Terminal is often regarded as one of the nicest lounges in the world. It's not really a lounge as it's in a separate building from the terminal. The terminal has everything you could possibly want during a layover or before a longhaul flight including shower suites, jacuzzi suites, a sit down restaurant, a full bar with a ridiculous selection, a water bar, areas to relax, day rooms to sleep, and a cigar bar! In total, the itinerary cost 127,500 miles and $70 per person in taxes and fees. Not a bad deal considering the cash price for each ticket was selling over $12,000!